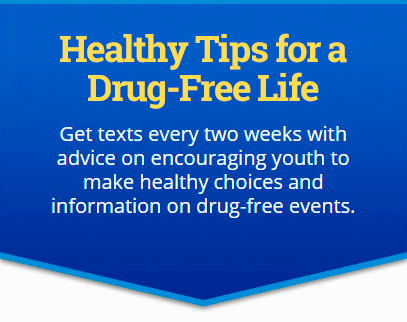 Youth can use these resources to develop their skillsets and live a healthy, drug-free lifestyle. Prevention plays a role in everyone’s life, from adolescence to adulthood. A healthy lifestyle relies on making good decisions through goal setting and standing up for themselves. Making decisions starts with setting goals. What do you want to accomplish in your life? What are your dreams? Do you want a life filled with creativity or adventure? Stop and think about the pros and cons of the situation. Evaluate your choices, and choose the best one for your decision. Take time to reflect on the decision you made. Sometimes, we will come across a situation in which we will be asked to do something that will be harmful to us. Standing up for yourself is tough, so we must find a strategy that works and is comfortable to use. Practice the strategies below to find the best one for you. Say “No thanks.” Easy and simple, this one doesn’t require much thought. If the person asking becomes more persistent, you might have to add a few more of the additional tactics listed below. Give a reason. There are many reasons not to try any type of drug. Think of your goals for the future or how your parents might react: “If one of my parents smell smoke on me, I’m grounded for a month.” Make sure to state your reason with confidence. Walk away or ignore the offer. This one can be tough. If you can walk away safely, walk away and ignore the person offering you alcohol or other drugs. Change the subject By saying “Let’s go do this instead,” you get to practice your refusal skills, and you may find that your friend agrees with this option. Learning to assert yourself will benefit you for the rest of your life.